※Orders are for sending within Japan. For orders from abroad, please contact info@newlifeministries.jp for more details. Please note that New Life Ministries only sells manga in bulk (1 Carton = 48 copies) for ministry purposes. 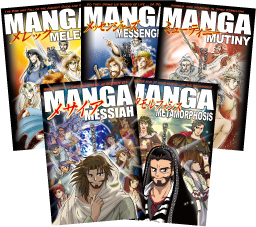 Covering the four Gospels, Manga Messiah tells the story of the life and ministry of Jesus Christ in the unique format of manga. After the death and resurrection of Jesus, His disciples began the work of spreading the Gospel around the world. Manga Metamorphosis covers the book of Acts and the letters of Paul and the early church leaders. The stories of the beginning of the world, the first humans, and the Jewish patriarchs, covering the book of Genesis and a portion of Exodus. The Jews enter the promised land, following by the era of the judges and the kings of Israel. Melech covers the remainder of Exodus through Judges and all the way until 1 & 2 Samuel. From Kings through the prophets in the Old Testament, Messengers tells the story of God's calling to His people, presented through prophets. An abbreviated version of the Manga Messiah, focusing on the life and ministry of Jesus Christ. The Gospel is proclaimed in a relevant, succinct way. Genesis and the life of Christ are covered in this volume, with the message of hope in Jesus. 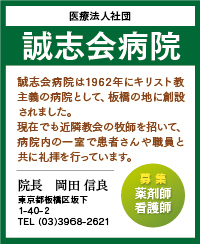 available in Japanese, contact us directly. Please fill in the required fields below after choosing which items you would like to order. We will send a return mail upon reception of the order, with payment information. Once we have received your payment, we will ship your order. For more tools, check out our partner ministries’ resources! For ministry to children and teenagers, OneHope has tools for outreach and spiritual growth, some of which are free! Pocket Testament League provides pocket-sized Gospel of John booklets free of charge!